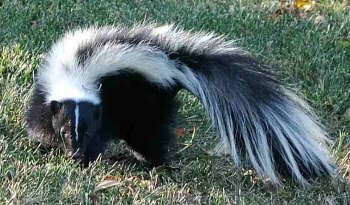 Skunk odor removal is something you never want to have to know about, but when your pet gets sprayed by a skunk you need to know something that really works, quickly and effectively, to get rid of that smell as soon as possible. I came across this homemade recipe for how to get rid of skunk smell in Homemade: How-to Make Hundreds of Everyday Products Fast, Fresh, and More Naturally, a Readers Digest publication. Step 1: Apply the toothpaste to all of the dog's fur (not around the eyes, however) and allow it to dry for approximately 20 minutes. Step 2: After the time has elapsed, wet the dog down and wash him or her with the dog shampoo. Step 3: Create a solution of the vinegar and 1 gallon of warm water. Step 4: Rinse your dog with the vinegar solution. Step 5: Dry your dog, as normal. 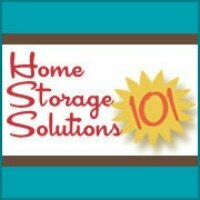 Step 6: You may need to repeat this homemade skunk odor removal recipe if skunk odor still lingers. Please note you should double the parts of the recipe calling for toothpaste and the vinegar and water solution if you have a large dog. Helpful hint: The quicker you treat your dog the better, because the longer the skunk spray stays on, and dries, the harder it is to get rid of. This is obviously just one recipe for getting rid of skunk smell. I've added more recipes and home remedies from readers, on the sister site, Stain Removal 101, at the link.